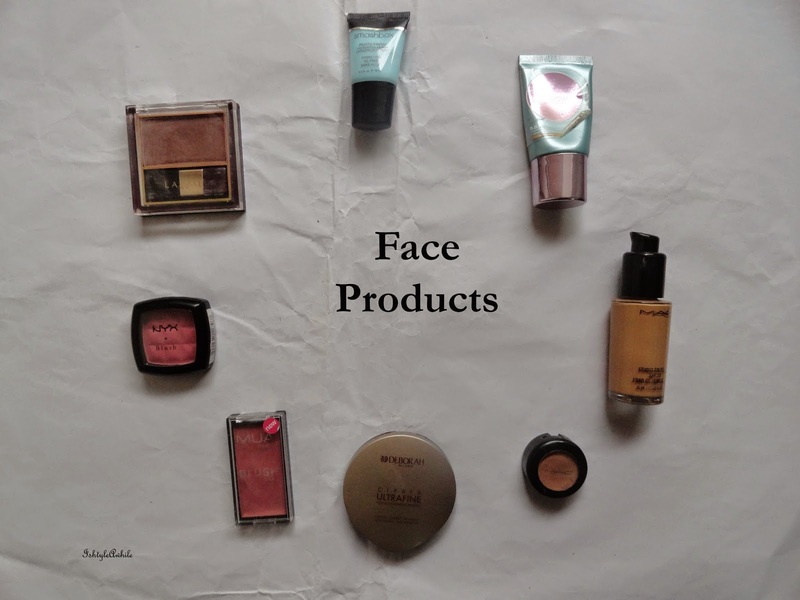 Starting with the face products. I had already mentioned that my foundation, concealer and compact powder wouldn't change because I don't own multiple of those. I really want to use up the Deborah Milano compact before I start the next one. I have a Colorbar one waiting to be used and I have a finishing powder from Kryolan waiting to be opened. 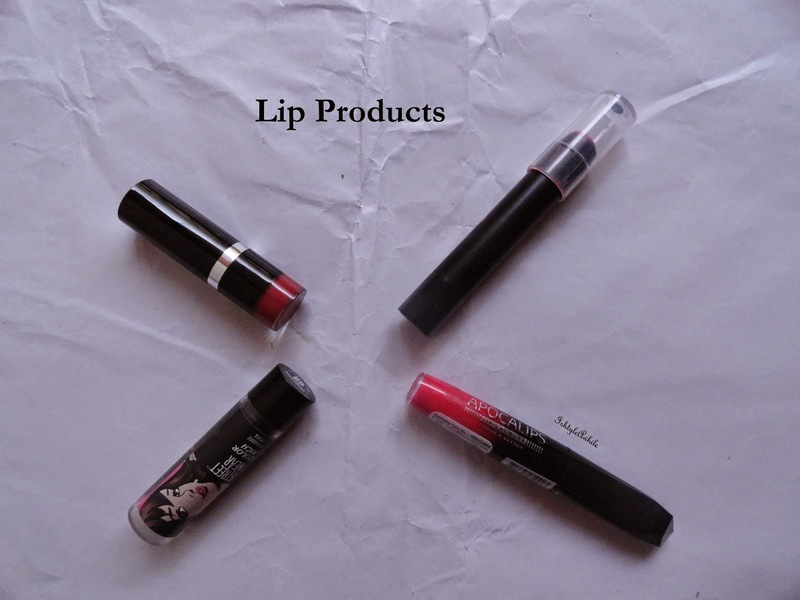 Next we'll look at the lip products. I loved the Palladio Lipstick and the Streetwear lipstick in Pink Persuasion. I found myself reaching for these two again and again. I think I used the Rimmel Apocalips maybe once and that's it. 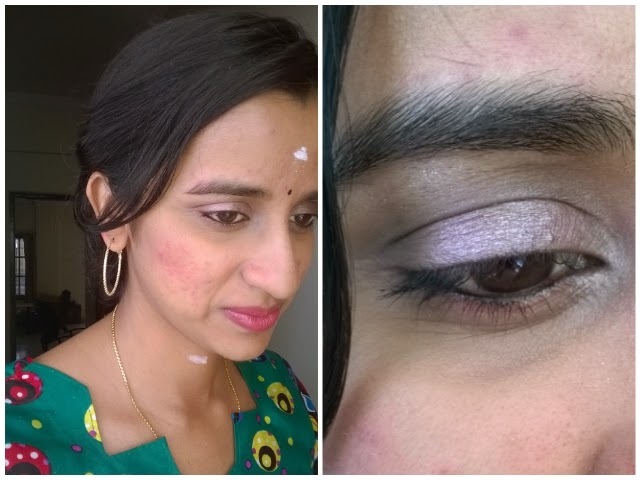 The Lakme Poptint was not used as much as I would liked to. 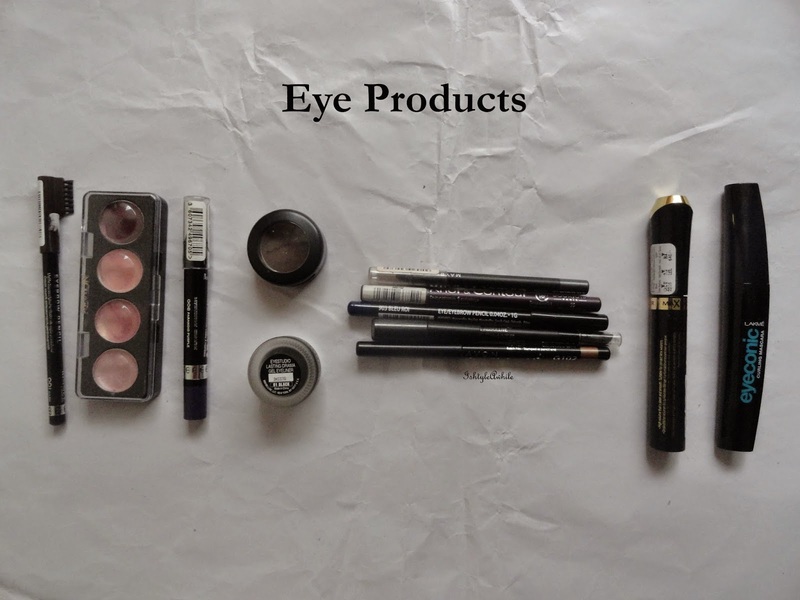 The eye makeup products. Well this was pretty interesting actually. The Rimmerl eyebrow pencil was the only eyebrow product in my basket so I used it most days. The rest of the days I used the MAC eyeshadow in Dark edge. Here are things I never reached for at all!! 3) Avon Glimemrstick in flashy copper. 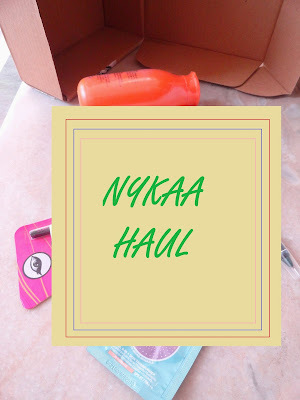 I did use the NYX eye pencil in blue once in a while. 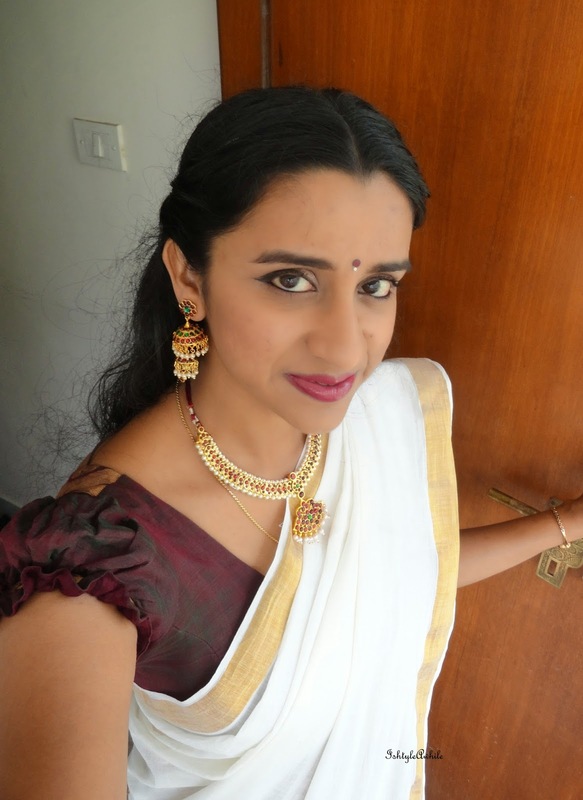 But I found that my favourite look was just kajal and mascara. I preferred the Max Factor Mascara to the Lakme one. 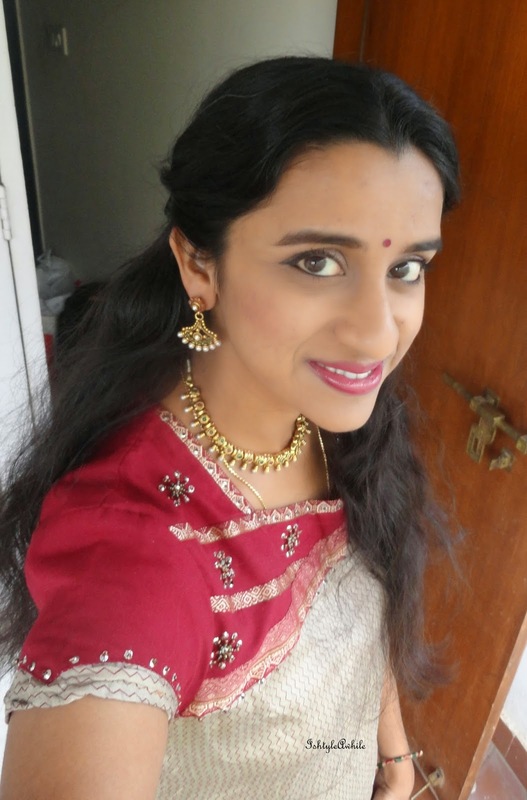 The Makeup Revolution London Redemption Palette Iconic 3 was extensively used during Navrathri. 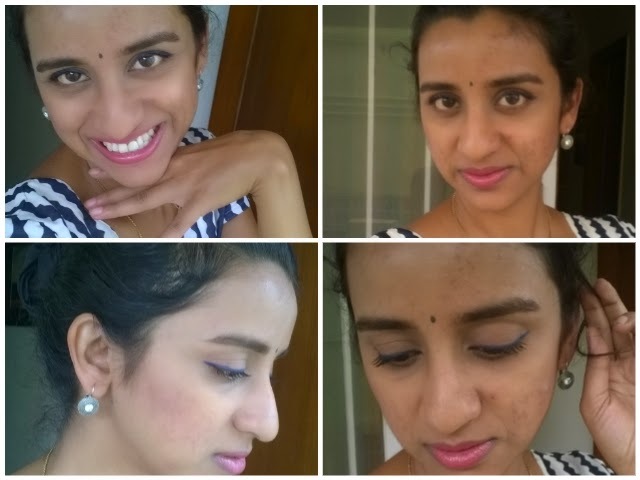 The Maybelline gel liner, well I loved using it, but when I am in a hurry, I never reached for it. I really missed having a liquid liner for the days when I was in a rush. Here are some looks I put together with this makeup basket. 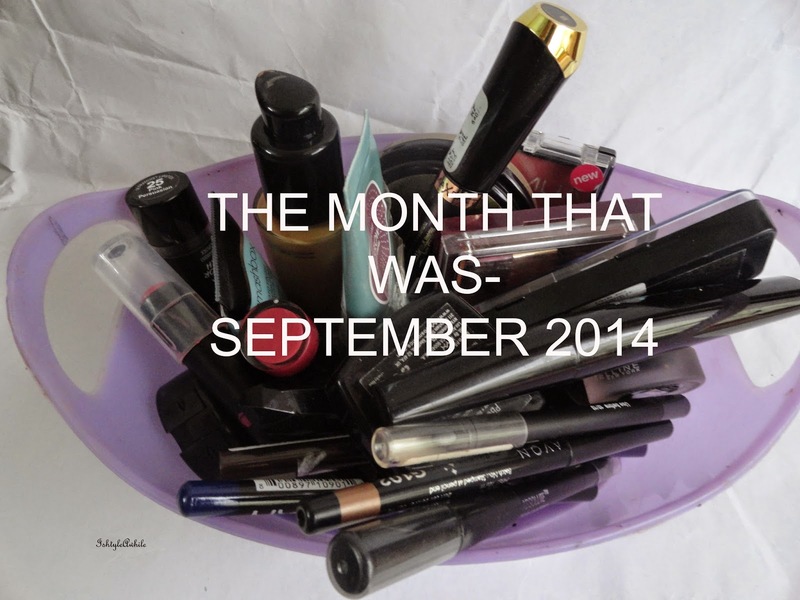 So this was how my September makeup basket fared. I do have the October basket ready. 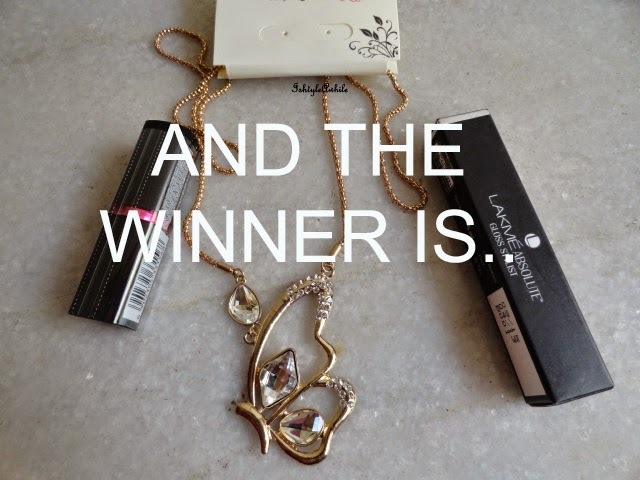 It will be up soon!